This time I think the proportions are a little better. The last attempt did not really look right, mostly due to the tail. 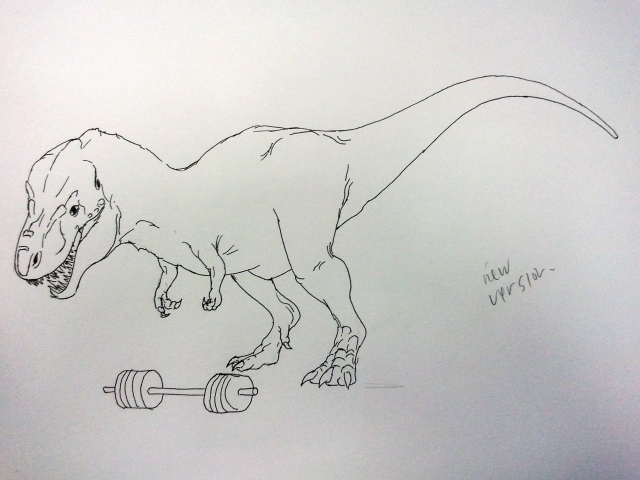 This entry was posted in Quick Desksketch and tagged Dinosaur, powerlifting, tyrannosaurs by Anthony. Bookmark the permalink.